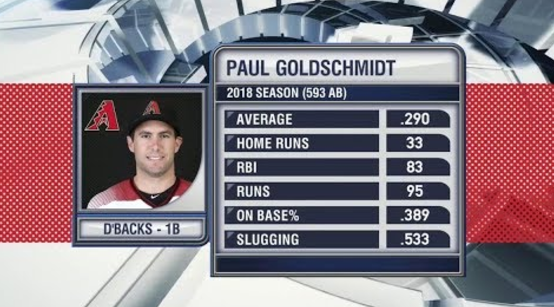 Paul Goldschmidt had a huge impact on the St Louis Cardinals before he was a St Louis Cardinal. Now, funnily enough, dude's a Cardinal because they outbid Jeff Luhnow and the Houston Astros. Seems like Luhnow finally won the argument, and Cardinal Nation's fine with that. They just mighta found someone. Ring it up as the product of a deep farm system. That's bringing some serious impact to the NL Central. Dude's gold glove will also shore up a defense that was the National League's worst, a glaring embarrassment to a club that's accustomed to taking pride in its leatherwork. That's the added bonus Goldschmidt brings to this deal. Now, it's up to the Cardinals to add to his contract. They've got a history of doing just that. Both Mark McGwire and Matt Holliday arrived with a year left on their deals and wound up staying much longer. A three-season absence from the playoffs isn't acceptable to a traditional franchise that drew 3.4million fans last season and has a fat regional broadcast contract. It's why they're still looking to lay out serious dosh for a southpaw reliever and consider themselves a frontrunner for Bryce Harper. Harper's represented by super-agent Scott Boras, and his big names usually don't ink deals before mid-January at the earliest. Whether or not they land Harper, the Cardinals have already shaken up the power structure in the NL's strongest division.